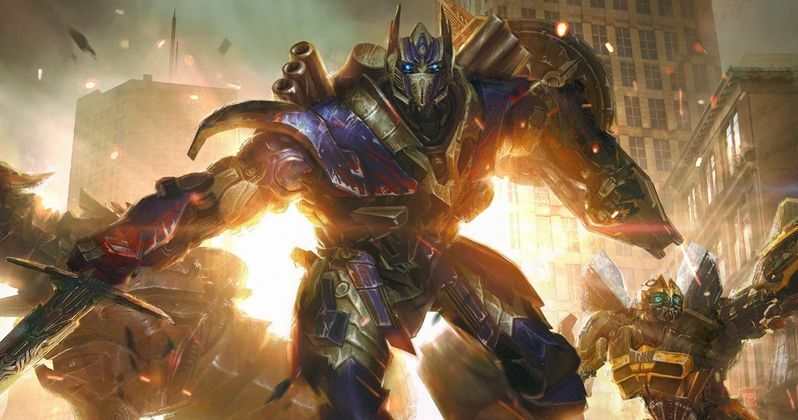 It appears as though the future of the Transformers franchise is in doubt. Paramount Pictures has officially removed Transformers 6 from its release calendar. The sequel was scheduled for release on June 28, 2019. Paramount didn't simply move the movie to another date as the studio has pulled it from its calendar entirely. That, coupled with comments made earlier this year, suggest that we very well may be heading toward a Transformers reboot. A new report states that Paramount put Transformers 6, which will be the seventh movie in the franchise overall following this year's Bumblebee, which arrives in theaters on December 21, put the movie on the release calendar years ago as a placeholder. Since Michael Bay has moved on from the franchise and since the first footage from Bumblebee that debuted at Cinemacon was well-received, it's being reported that Paramount will reboot the franchise in the same vein of the upcoming spin-off. Bumblebee comes from director Travis Knight (Kubo and the Two Strings) and will take place in the 80s. So it sounds as though the movie can serve as something of a soft reboot. News of the franchise getting rebooted first surfaced earlier this year when Hasbro stated at this year's Toy Fair that the movies will be "reset." However, following that, a brand manager for Hasbro said, "Don't believe what you hear, don't worry." So, there appears to be a bit of confusion. Perhaps Paramount and Hasbro want to wait and see what happens with Bumblebee when it comes out? The studio also assembled a writer's room, led by Akiva Goldsman, a few years ago to map out stories for the future of the series. According to Michael Bay, that netted more than a dozen ideas for future movies. Hasbro and Paramount have had a lucrative relationship for the last decade with the Transformers movies. To date, the five movies in the franchise have made a grand total of $4.38 billion at the worldwide box office. This, despite the fact that the majority of the movies have been despised by critics and, especially in the case of the last two installments, by the fans as well. That explains why Transformers: The Last Knight made a full $500 million less than its predecessor, Transformers: Age of Extinction. That makes it the lowest-grossing movie in the series. That is an alarming drop-off and one that can't possibly be ignored moving forward from a business perspective. It's important to note that Hasbro and Paramount recently launched Allspark Pictures, a banner that will produce movies based on Hasbro toys to be distributed through Paramount Pictures. They are planning a new Dungeons and Dragons movie and a G.I. Joe reboot, among other projects. No doubt, Transformers will be a big part of that in the future, but Transformers 6 probably won't be happening. Bet on some sort of reboot or relaunch instead. This news comes to us courtesy of Deadline.